To meet the challenging brief from interior designer Laura Shepherd for a beautiful 12,000 square foot private residence in Belgravia, London we crafted a range of metal light fittings in our South London factory to match exactly the toned bronze samples provided. 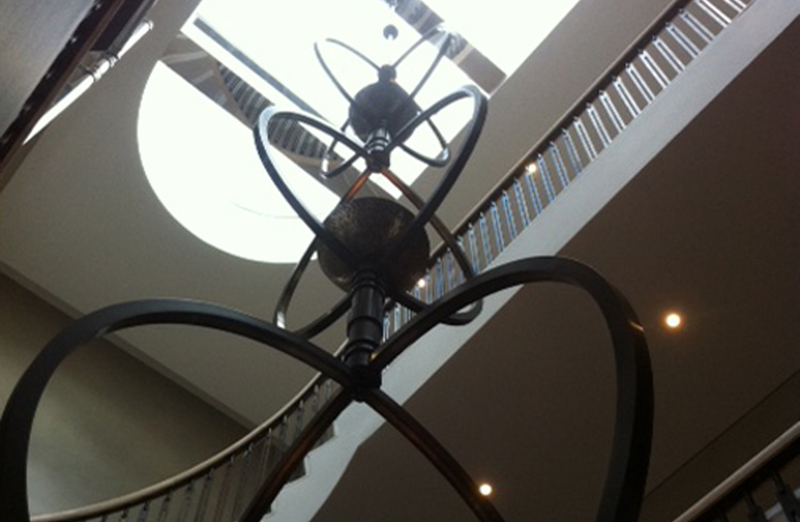 The resulting fittings have been installed throughout this luxury residence. They include a dramatic pendant some 1.5m in diameter for the entrance hall that comprises three rings with inner rings within and a hammered bowl at the base to house the lamps with a glass cover together with complementary wall lights. For the dining room we made wall lights that are over 1m high and feature octagonal crystal buttons as well as bespoke frames for antique bevelled mirrors and a drum light pendant with bronzed arms and a bowed hammered bronze base in response to Laura’s fantastic design concepts.